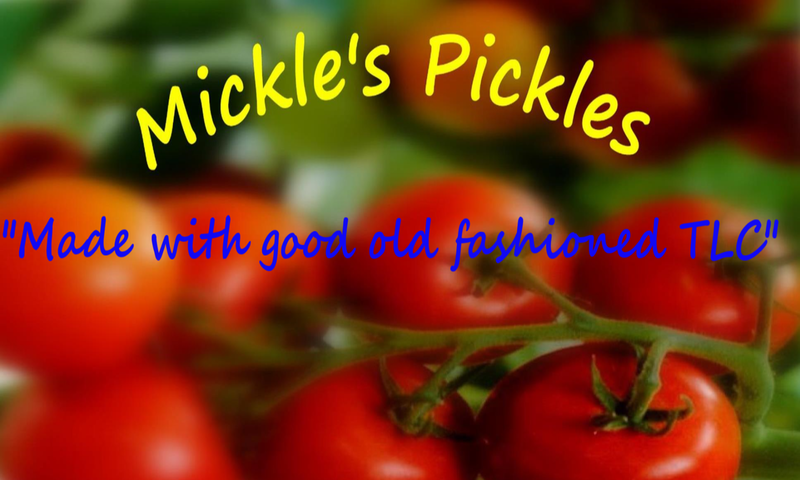 Mickle’s Pickles – "Made with good old fashioned TLC"
"Made with good old fashioned TLC"
Welcome to Mickle’s Pickles website. We’re a small business located in Gundaroo, NSW, Australia, and we make a selection of hand-crafted pickles and mustard using traditional recipes. Our tag line is “Made with good old fashioned TLC” because all our ingredients are from either our own garden or are source through our local markets. We make each batch individually in our own kitchen so you get he best tasting pickles that are made with Tender Loving Care!! We’re re-vamping the Mickle’s Pickles website – it’s about time for a change to the format, so forgive us for a few weeks while we get the site back up and running with a new theme. With a good growing season coming on, the tomatoes are all planted and we’re looking forward to a bumper crop! Check back soon and we’ll have all the content and on-line buying system up and running. We can remember how good the pickles and relishes our parents made back in the 70’s and 80’s. We’re re-creating these so that all our family & friends can experience the real taste of good pickles that you don’t get through the mass produced commercial products. Welcome to the Mickle’s Pickles website. We’re re-vamping it so come back often. Cheers Mickle!